“We are focused on the process” has become a catch phrase in sports. Teams such as the NBA Philadelphia Sixers, the NFL New England Patriots and the MLB New York Yankees use the term “process” to describe the focus of their teams. But what does “focus on the process” actually mean? How does it apply to the sport of soccer? “Focus on the process” can be confusing for many athletes. The confusion lies in the misconception regarding winning and process. 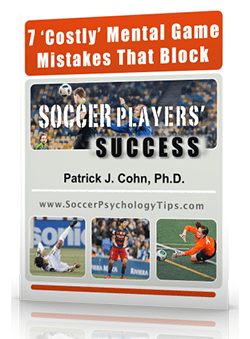 Many soccer players see “process” and “winning” as complete opposites. Not true! Winning is scoring more goals than the other team. When you score more goals, you are elated. When the other team scores more goals, you are deflated. Winning is success and losing is failure. It is an all-or-nothing approach that creates fear, anxiety and pressure. The process is committing and focusing on what you need to do daily to be successful whether it is improving team cohesion, better conditioning, staying poised in big matches or making accurate passes. The process is your plan to achieve your ultimate objective. In this definition, losing is not failure. 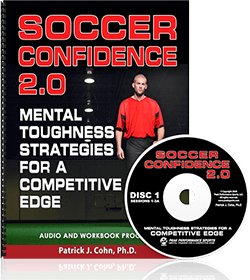 If your team had improved ball control but lost 1-0, you are still a step closer to your ultimate objective. The most beneficial aspect of the process is that you continue building momentum towards your objective which also builds your confidence. Focusing on the process is something the US Men’s National Team has adopted as they try to improve their performances in international competition. In two recent friendlies, the US squad faced international powerhouses, France and Brazil. The match against France ended in a 1-1 tie and the match against Brazil was a 2-0 loss. In both matches, the US squad fell behind early but stayed true to their focus on the process. The US team didn’t worry about losing. Instead, the US was committed to improving and getting their game to the next level. In each game, the US Men’s Team could have folded but their focus on the process kept them in the game as they worked towards their ultimate objective, competing for an eventual World Cup. US head coach Dave Sarachan commented on the team’s mentality and approach to each game, even after falling behind Brazil 1-0 only 11 minutes into their game. Twenty year-old US player, Weston McKennie further expounded on the team’s focus on the process. As you develop your game, the closer you become to achieving your goals. Think of the process as the road map to get to where you ultimately want to go. Always remember, success is built one step at a time. Ask yourself, what should be my next step today or in this moment? What do I need to do now to further my game and move me in the direction of my objective for this season? Write down 2-3 improvement areas and work out a plan to develop these skills. After a game, you can evaluate your progress, give yourself credit for any successful steps forward and revise your plan, if necessary.